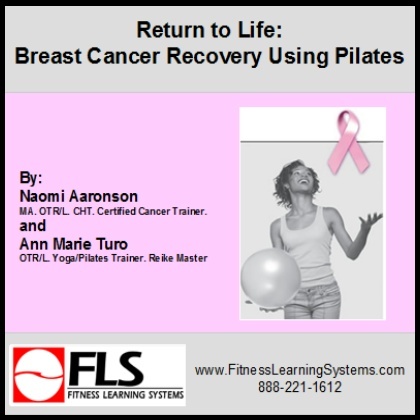 Through this course, you will learn a three phase program that will facilitate a well organized progression of Pilates mat exercises. You can incorporate Pilates as part of your general exercise program or use Pilates along with a cardiovascular program such as walking or stationary cycling for a well rounded fitness program even during treatment. You do not have to be a Pilates instructor to use these exercises in group fitness and personal training. Video included for exercises.